was the Zadig drivers, I have tried with all of them and only zadig works. 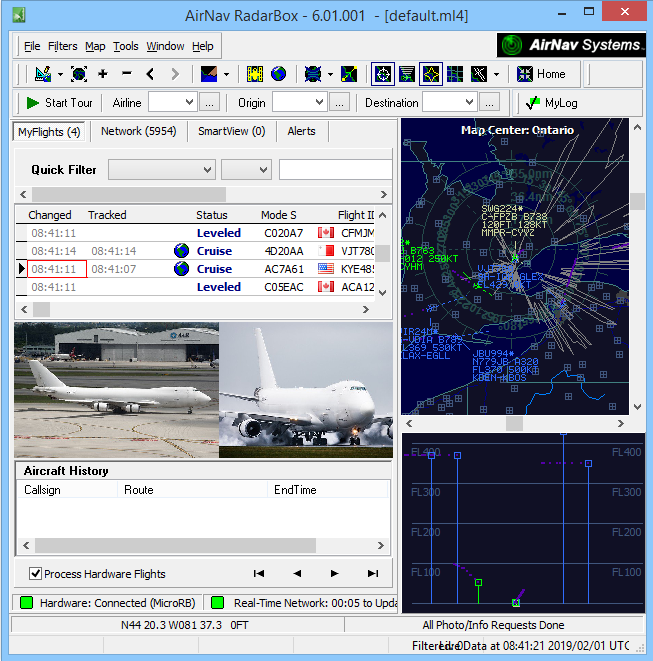 But today is 31 of January, the day of drivers release from airnav. All I know is that I plugged the Flightstick in and it worked with no problems. I have the Radarbox, MicroRadarbox and Zadig drivers in my drivers folder to allow my different receivers to work with V6. As for dedicated Flightstick drivers from Airnav today, lets see!! Anyone heard a new ETA for the Windows driver? Thanks Alan - unfortunately one of my systems is not recognizing the stick and I'd rather have the real deal than futz about with it any longer! Do you have the Zadig drivers installed? 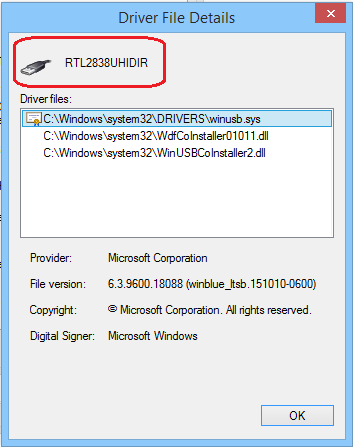 Unzip the downloaded folder and move in the un-zipped folder "RelWithDebInfo/rtl-sdr-release/x64"
In this folder you will see many files. Please see screenshot below. 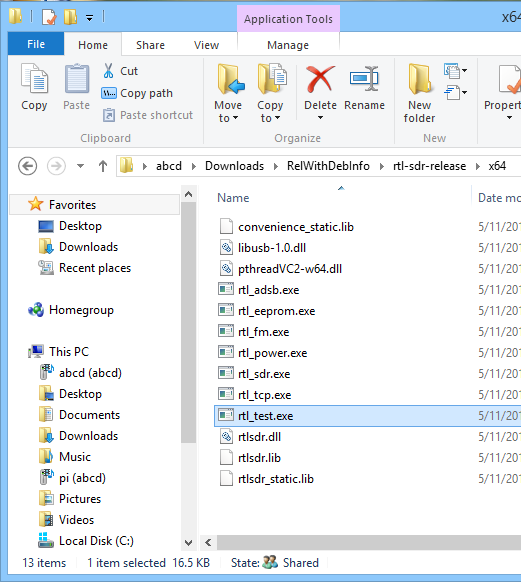 When inside folder "RelWithDebInfo/rtl-sdr-release/x64", double-click file "rtl_test.exe"
(1) In Win10, in STEP-3, got error message "Missing MSVCR100.dll". 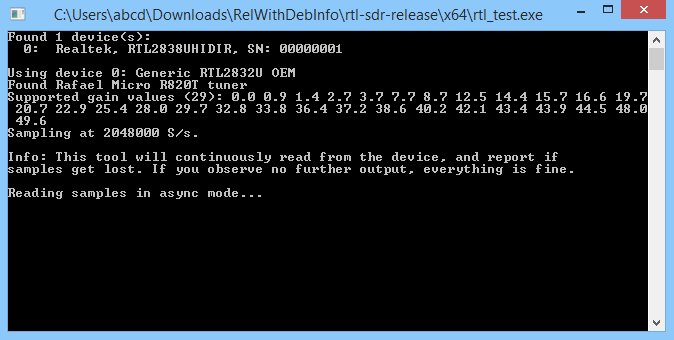 - Change to folder "Downloads/RelWithDebInfo/rtl-sdr-release/x64". 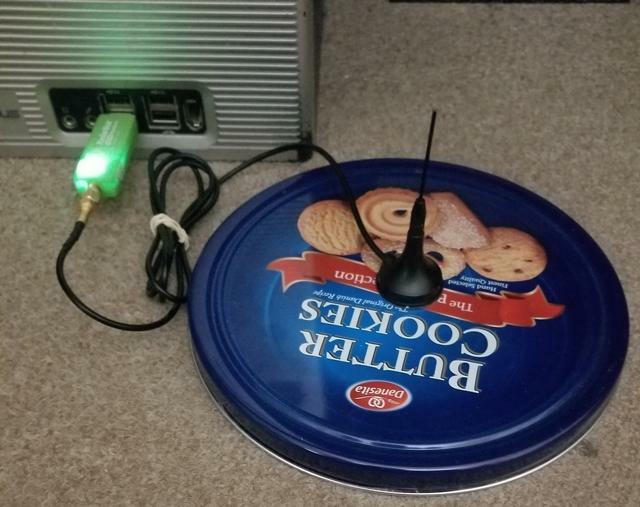 - Gave command "rtl_test -t".